Wow! This has been a crazy day. Ironing my husbands t-shirts, he was getting ready to make a Talenti TV appearance! Making scrambled eggs, toast, and sippy cups, all the while my 3 year old woke up and wanted me to bring him downstairs. Fed the dog his breakfast too. After the manic morning,, I managed to escape to the grocery store without the rascals, what a treat! Then, the craziness never stopped. I took the boys to Chuck-e-Cheese, (the best part was my 3 year old clinging on to me for dear life when Chuck-e-Cheese came out, all I could do was laugh). Even though Chuck-e-Cheese has new and improved pizza, I decided to skip it (based on previous experiences), and next, I took them for lunch at a restaurant. After lunch, we came home, they napped, and I got to cooking. When they woke up, we went to a friend's house for a playdate. Next, we came home and I finished up the cooking. Now, I am sitting her blogging, as you can imagine I am about to collapse. Although this is a super easy salad to make, it appears very fancy! Thinly slice the tomatoes and arrange them on a serving dish. Sprinkle on the capers. Drizzle 2-3 T. balsamic over the tomatoes, and then 2-3 T. olive oil. Sprinkle with salt and pepper. Sprinkle with the basil. Parsnips look like white carrots. When they are cooked they have a sweet buttery taste. This recipe is from Kosher by Design Entertains. 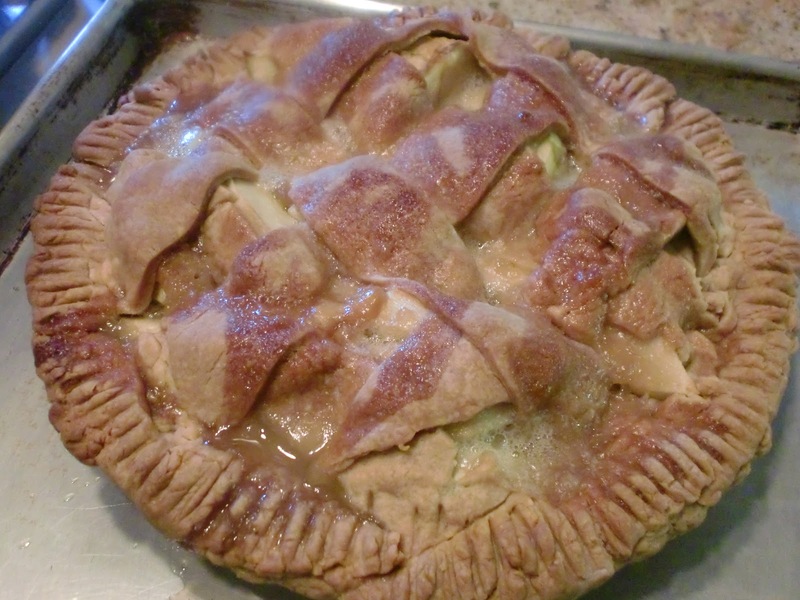 It makes enough for 12 people, I made a 1/2 recipe. Preheat the oven to 350 degrees. Spray a 9x13 baking dish with non stick spray, and set aside. Melt the margarine in a large pot over medium. Add the onions and sautee until translucent and a little golden. Add the spinach and saute for 3 minutes. Add the flour, and stir in the mayo, sour cream, salt and pepper. Stir until all combined. Add the broth and stir until smooth. Bring to a simmer. Allow the sauce to thicken while simmering for a few minutes. 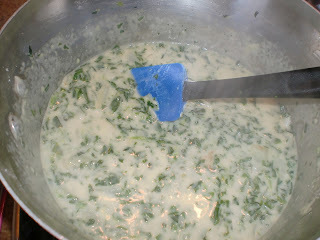 Ladle a layer of the spinach sauce in the bottom of the pan. 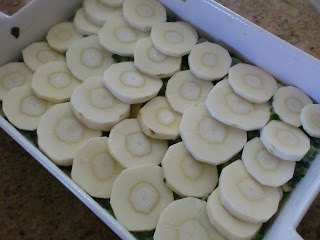 Top with half of the parsnips, by making a layer of overlapping parsnips. Top with more sauce. Then another parsnip layer with the rest of the parsnips. Finally, end with one more layer of sauce. You should have 3 sauce layers and 2 parsnips layers. Sprinkle with paprika and bake for 1 1/2 hours. Now, I have exactly 30 minutes to put the finishing touches on my dinner, before our guests arrive.